These are the classic K'NEX motors available. All dimensions shown are approximate. 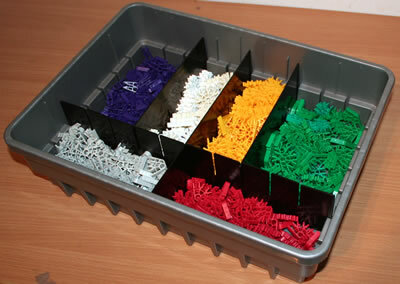 These are all new parts - we do not sell used KNEX. 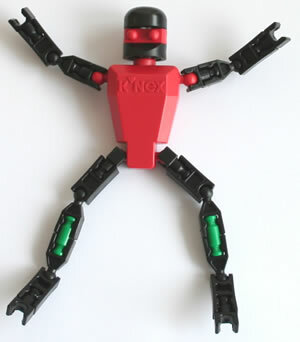 Click on any image to display full details, view some examples of KNEX models using motors, or find out what the Available figure means against each part. To operate, just wind the axle backwards to coil the spring, and then let go. A fast-rotating motor, for models that need high speed but low power, such as vehicles with small wheels, roundabouts, fans and helicopter blades. A K'NEX battery motor with a 116cm (3.8 foot) tethered lead, powered by two "AA" batteries (not included). 36rpm approx. Can drive two axles simultaneously. Housed in a clear plastic case, so you can see how it works. The tethered lead allows you either to attach the battery holder to your model, or to hold the battery holder in your hand remotely from the model. Medium speed - 45rpm. As used in most K'NEX roller coaster sets. Requires two "AA" batteries (not included). High speed - 190rpm. As usd in sets such as the Space Invasion coaster. Requires two "AA" batteries (not included). High speed - 190rpm. Same speed as Battery motor Silver. 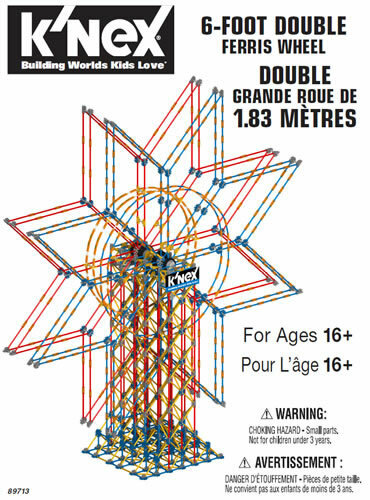 As used in sets such as the K'NEX Revolution Ferris wheel. Requires two "AA" batteries (not included). See K'NEX Investigating Solar Energy set for examples of K'NEX models that can be built using this kit. For use in Mainland Europe. 2-pin 230v 1A. Consists of a 92815UK Mains adaptor UK plus a UK-to-Europe plug adaptor.